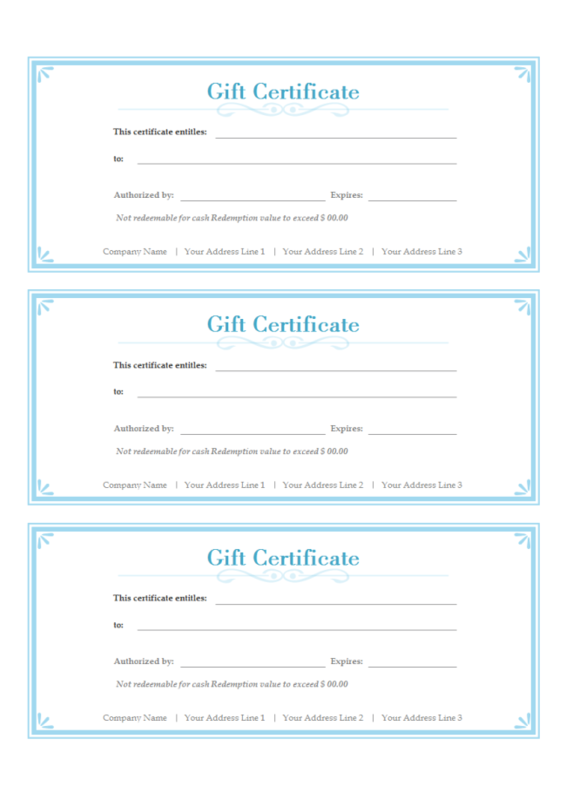 Description: A free customizable simple gift certificate template is provided to download and print. Quickly get a head-start when creating your own simple gift certificate. A common design of gift certificate template that can be customized and then printed to fit your business.